Surveying the mountain from your private ski lift, it's easy to see why members of the exclusive private residence club The Club at Tristant chose to forego traditional home ownership for membership at what is easily one of America's most exclusive property ownership clubs. Overlooking the majestic San Sophia Mountains, The Club at Tristant offers members multimillion dollar views at a fraction of the price. Part of the Epiphany Clubs & Resorts Collection, The Club at Tristant boasts amenities that would make a Vanderbilt blush. Soaring ceilings, mammoth logs, and monolithic stone fireplaces give the residences at Tristant a ruggedly distinguished feel. 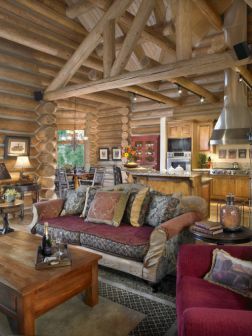 Add in the private ski lift, coveted ski-in/ski-out access, full season ski passes, flat screen plasma televisions, a fully equipped Land Rover in each garage, and preferred tee times at the tony Telluride Ski and Golf Club and you have an amenity package that is simply without peer. However, The Club at Tristant is much more than a private residence club. It gives new meaning to the term private destination resort. From the full service amenities offered to the small number of club residences, members to The Club at Tristant are more than guests. And it's the sense of ownership and the club's desire to make members feel at home that sets The Club at Tristant apart from other residence clubs. It's quite simply the closest you can come to owning a vacation home without actually buying a whole one. While the luxury fractional ownership market has become crowded in recent years by names such as Ritz Carlton, Epiphany's high price point and full service amenities set it apart. What you pay for is exclusivity. Occupancy at Tristant averages 28 percent, with each unit divided by a maximum of five other members. In fact, unlike other resorts, The Club at Tristant offers an availability guarantee of five high-season weeks. That ensures that even during peak demand, members can enjoy their investment. Despite its recent entry, Epiphany's The Club at Tristant is hardly the new kid on the block. In fact, Epiphany's pedigree is unmatched. 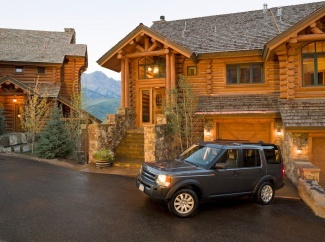 The brainchild of industry scion Tom Fulton, Epiphany Clubs & Resorts is the latest venture from a man who did nothing short of helping create the entire luxury fractional ownership market through the Telluride landmark Franz Klammer Lodge (now owned by Fairmont). Fulton's Midas touch seems apparent once again. Epiphany recently won the backing of German giant Deutsche Asset Management (part of Deutsche Bank) and hopes to open upwards of 25 resort residence clubs around the globe with a third club planned in Punta Mita, Mexico and plans being drawn up for New York City and Aspen. Membership entry to The Club at Tristant is priced at $799,000. Annual dues are an additional $18,500. Members are given a full refund should they decide to resign from the club plus 60 percent on any net appreciation on the real estate.